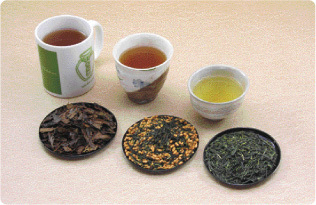 Over-sized tea leaves are pan-roasted at a high temperature and made into Hojicha. You cannot miss the rich roasted aroma that comes wafting from a tea shop where Hojicha is being made. The color of the tea leaves is dark brown, and when brewed the liquid looks like a dark draft beer. To prepare this aromatic Hojicha, it is preferable to use a fairly large earthenware pot and plenty of tea leaves. As soon as you start pouring hot water into the pot, the aroma of Hojicha will rise to fill your nose with its distinct bouquet. A thick, large cup will make the aroma last longer and enhance enjoyment. Tea made from the roasted stems is called Bo-hojicha which has a particularly savory aroma and is widely drunk in the Hokuriku region (central Japan on the Japan Sea side). The rich aroma of Hojicha is best enjoyed in a larger cup. A slightly smaller vessel is perfect for the lighter taste of Yanagi. Pour very hot water into the pot, and the aroma of Hojicha will immediately come wafting out. It has an irresistible sort of roasted smell. As it has little stimulant, there is no concern of delicious Hojicha preventing you from getting a good night's sleep. Try mixing Japanese style vegetable soup made with bouillon soup stock and Hojicha. This light and delicate dish influenced by both Japanese and Western cooking styles is very popular among Japanese people. Roasted brown rice grains are mixed either with Hojicha or Yanagi to make this tea. It is well liked by tea lovers of all ages for the mixed flavor of green tea and the aroma of roasted rice, from which it also gains the nutritional benefit of Vitamin B1. The components of the leaves, namely Yanagi and Hojicha, are low in stimulant, so they can be enjoyed late at night and by children at any time. 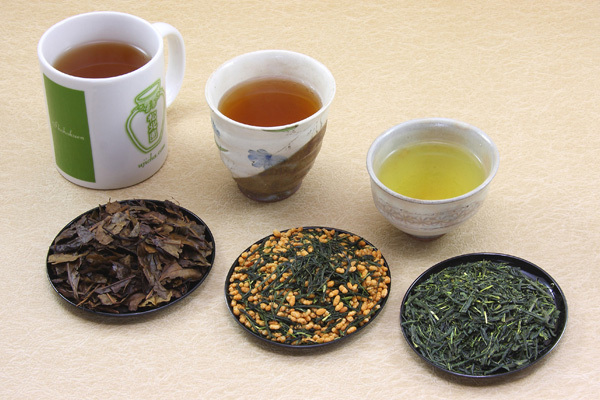 To brew Genmaicha, follow the same instructions as explained above for Yanagi. 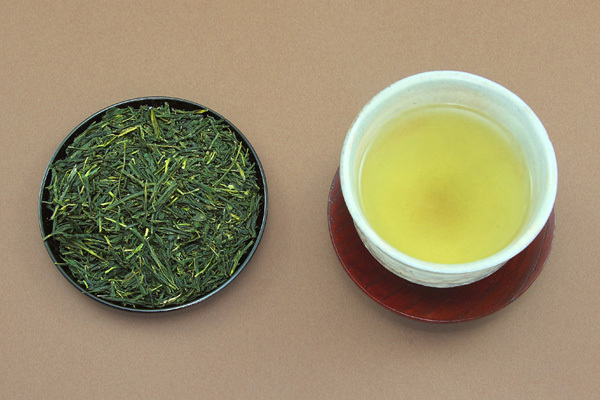 Recently, Genmaicha mixed with Maccha has gained much popularity and a number of tea manufacturers are now producing Genmaicha according to their own recipes, making it a fairly common item to be found at many tea shops. 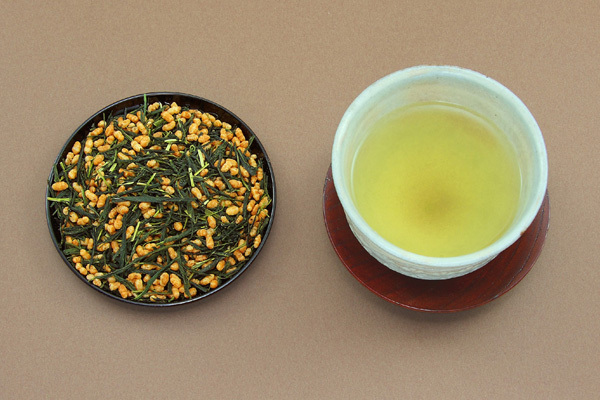 Genmaicha combines the flavor of green tea and the aroma of roasted brown rice. It has a light and refreshing taste that goes well with rich food. Genmaicha is easy to make and suitable for any occasion. In the course of making Sencha, some leaves fall out in the rolling process and come out flat, folded in two or double-folded in four. Because they look like Willow leaves, the tea made of such leaves is called Yanagi (Willow), which has a lighter and less tart taste than Sencha. Many people prefer to drink Yanagi after eating as well as between meals. Yanangi tea leaves are naturally bigger than those of Sencha. Take this into consideration and have a larger teapot and cups ready to enjoy plenty of Yanagi.